Description:This 8 inch caliber wall has the 1.37 inch thick walls which indicate it is a mortar ball and not a Columbiad though it could be shot from a Columbiad. Recover location is not known so we can't determine from that what might have fired it. The ball is dug as there is still dirt residue inside but he outside is very good and it is a great display piece. 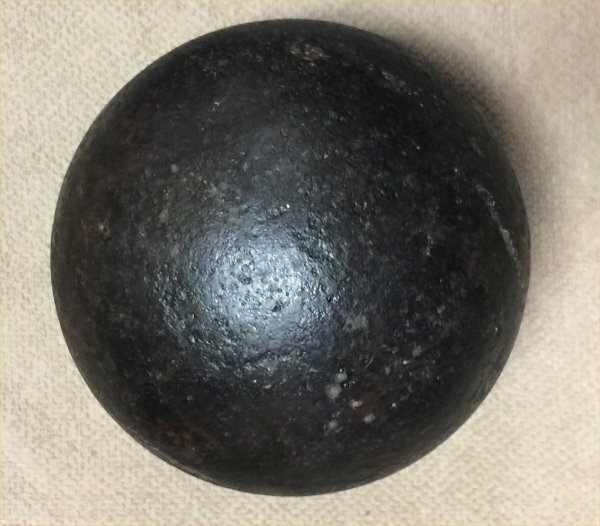 This ball was cast with a tapered fuse hole for the wood fuse adapter. 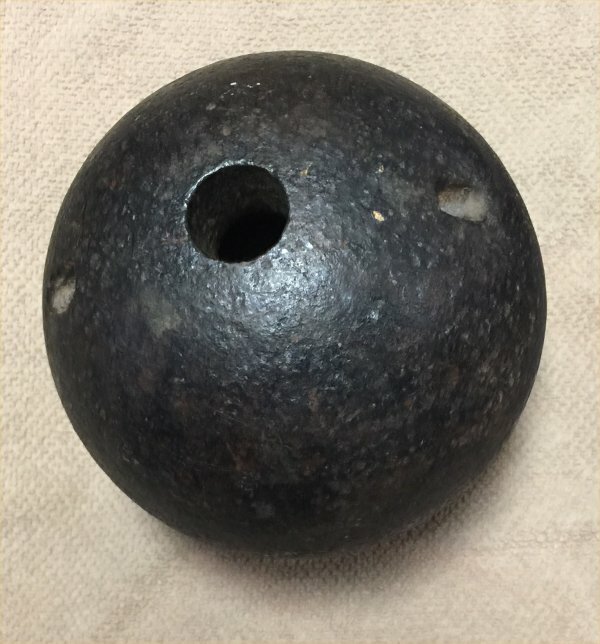 These type balls are occasionally found with the seacoast fuse driven into the tapered fuse hole though this one doesn't have one. It has the tong holes which are very clean with the round recess in the back for the tongs to seat. The 8 inch caliber is a much used caliber during the war and they are found at nearly all major naval and siege locations. This is a very good example for your collection.